Emirates is an airline that many view as a market disruptor. A true leader in the insanely competitive airline industry. It's hard to believe the airline only launched in 1985 with only two leased Boeing 737's. They are now one of the top airlines in the world known for their innovation and luxury service. So what is their secret to success? We had an exclusive interview and chatted about what it takes to build and maintain such a luxury brand. Jetlegs: Emirates was founded in 1985 and has since seen massive growth and accolades. What is one the largest factors behind the airline's success? 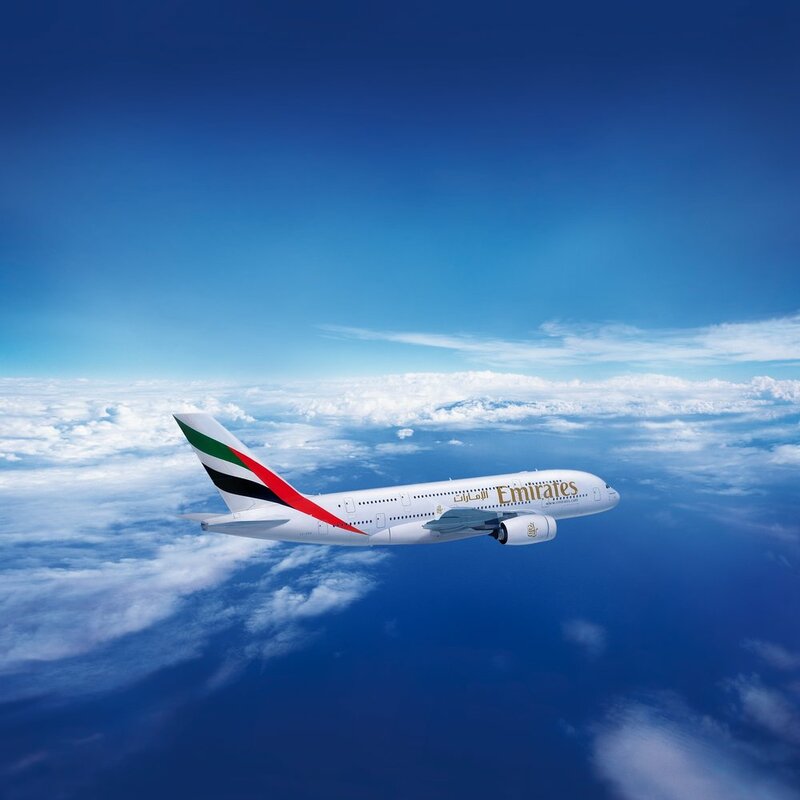 Emirates: The success of Emirates, so far, has been a sum total of many attributes. We invest strategically in building our brand and it is reflected in everything that we do. We have differentiated the Emirates brand not only through our marketing and sponsorships initiatives, but also through our competitive combination of quality products and services, and technology-driven customer initiatives that our teams deliver everyday both on the ground and on board. Our business model is to connect Dubai to the world, and connect the world through Dubai with efficient air transport services. Dubai’s strategic location at the crossroads of Europe, Africa, and Asia, has been at the foundation of Emirates’ success in building up a global hub for travellers and cargo. From Dubai, we are able to serve about one-third of the world’s population within a four-hour flying radius, two-thirds of the world’s population within an eight-hour flying radius, and almost 90% of the world’s population with non-stop flights using the latest ultra-long range aircraft. Emirates continue to add new routes and destinations, connecting more people with more places globally. The A380 has played a key part in building our brand but it certainly isn’t the whole story. We only received our first A380 nine years ago and just received our 100th A380 a few weeks ago. The airline has been in operation for over 30 years now. Emirates continually invests to enhance its A380 product, ensuring its customers enjoy the best possible experience. To date over 85 million passengers have flown on the Emirates A380. The airline has implemented countless improvements on board its A380 fleet since 2008, ranging from subtle updates such as the addition of in-seat USB ports and introduction of electric window blinds, to more major upgrades such as relocating overhead luggage bins to provide a more spacious cabin, installing bigger and better inflight entertainment systems and a newly revamped Onboard Lounge. Last but not least, it’s our people. Emirates’ workforce reflects the diverse mix of global talent that can be found in Dubai. We recruit and retain the best people from around the world, and we’re very proud of our team of passionate men and women who hail from 160 nations, bringing together the best insights and practices from around the world to contribute to our success. JL: What sets apart Emirates from the competition? E: At Emirates, we are always in pursuit of excellence when it comes to delivering the best experience possible to our customers, both on-ground and on-board. This includes tailoring our product offering to the particular markets in which we operate. We’ve been painstakingly building the brand and focusing on our capabilities for years. From the outset, as an airline, we behaved differently, and prioritized not only expansion, but also innovation, product quality and service standards. We focused on how we projected the brand and built a formidable portfolio of sponsorships. It’s not just one aircraft model that has made us what we are, it’s a combination of successes that have made us the most valuable airline brand in the world today. Inflight Innovations: On Emirates, customers can enter new dimensions, immerse themselves in different cultures and languages and go on fantastic journeys without leaving the comfort of their seat. With hours of in-flight entertainment and communications choices, there’s never a dull moment. From being first airline to install TV screens in every seat on every aircraft in its fleet in 1992, and allowing mobile phone use inflight in 2008, Emirates has continuously been investing in providing the best in-flight entertainment system. Today, Emirates provides one of the most comprehensive and state-of- the-art entertainment and communications services in the skies. A fitting tribute is being awarded "World's Best Airline Inflight Entertainment’ at the Skytrax World Airline Awards for 12 consecutive years. Best in class catering and wine: Food and drink form an integral part of any Emirates flight and Emirates customer can look forward to some of the finest wines available, served with menus created by leading chefs to reflect the culture and preferences of Emirates’ international customers. Our passengers can also enjoy the Emirates’ route-specific wine list featuring some exclusive Champagnes, red and white wines and ports sourced from countries across its global route network. Great food and drink are a key part of the Emirates experience which keeps passengers returning, catering to many tastes and preferences. Young flyers, including infants and unaccompanied minors, are very important to Emirates. We go great lengths to make sure that the flight is as comfortable as possible for the kids, the parents and also neighbouring passengers. We have dedicated services such as special meals, non-stop entertainment system (more than 90 channels for kids), toys and goodies to entertain and occupy children throughout their journey with us. These services are continually updated and enhanced. Our international cabin crew: Recruited from over 130 countries and speaking more than 60 languages, Emirates is proud of the service delivered by its cabin crew. In total, Emirates employs over 23,000 cabin crew members today who have all trained at the Emirates Aviation College Cabin Crew Training. The largest fleet of A380s: Emirates is the world’s largest operator of the A380 aircraft, flying this iconic double-decked jet to 48 cities on six continents on scheduled services. Including one-off flights, special commemorative services, test flights and other operational deployments, over 70 airports to date have welcomed the Emirates A380. The airline receives on average 11 A380 deliveries per year, starting from its first aircraft in August 2008. In its 2016/17 financial year, Emirates received a record 19 new A380 aircraft. In Dubai, Emirates operates the world’s largest A380 hub with an entire purpose-built concourse dedicated to A380 operations. The facility was an investment to offer travellers unprecedented convenience and comfort with direct boarding to the A380 aircraft from the First and Business class lounges and amenities including duty free shops, spas, an array of dining options and more. Emirates has 1,500 flight deck crew and over 23,000 cabin crew specially trained to operate its A380 fleet. JL: Who is the Emirates passenger? Are they perhaps different than the average traveler? What is an Emirates passenger looking for and how do you provide that? E: The Emirates passenger is no different to any other passengers. Over the years, airlines have become more than just a mode of transport from one point to another and healthy competition in this sector has led to some great innovations. Today, passengers are not just looking at travelling, but are seeking out an experience right from the moment they obtain information about the airline. Taking elements of private jet travel into commercial aviation, the Emirates journey begins way before the flight. When flying with Emirates, we ensure that our passengers experience the highest standards of service and luxury no matter what class they are travelling. The experience you get on board is comparable to premium hotel stays and fine dining restaurants, only it’s in the air. This can be attributed to our exceptional emphasis on service, aesthetics, ergonomic standards in our cabins with innovative features as well as technological touches like having over 2,500 channels of entertainment and connectivity via phone, SMS and Wi-Fi. On the ground, we offer the highest levels of comfort at the very beginning of the customer journey, from Chauffer Drive service, to our bespoke lounges that are designed with the same attention to detail and exceptional service across the globe at many major airports. JL: Continuously ranked one of the top airlines in the world for service, what keeps Emirates on top in the ever so competitive airline industry? E: In a nutshell: product, people and Dubai. JL: An airline customer has so many touch points, even more so with premium passengers. What goes into maintaining that high level of service every Emirates passenger has grown to expect? E: We work very hard to ensure our customers get a world-class travel experience at every step of their journey. We invest heavily in bringing the latest products on-board. From fine dining on demand, to personal mini-bars and shower spas on the A380, the First Class experience gives discerning travelers the time and space to make them feel at home. We pay great attention to detail, from the on-ground experience, to the onboard product and service. Before they even board the plane, premium customers enjoy exclusive chauffeur drive service, dedicated airport check-in counters, and luxurious lounge facilities – this is part of our philosophy, to deliver uncompromised quality and anticipate our customers’ needs. Emirates’ on-board product is also constantly reviewed – product is updated and refreshed based on customer feedback, research and industry analysis as well as a regular product life-cycle to ensure all onboard service and product is always monitored and kept up-to-date and competitive. This is done on a rolling basis. JL: Who at Emirates is the driving force for creativity and innovation? How do they continue to maintain and develop the Emirates premium hard and soft product? E: There are a number of people involved in driving creativity and innovation at Emirates – from our President to specialist teams across the business. For example, for our wine program we enlist specialists to source exemplary wines from around the globe. Once we have the long list of potential wines, we put them through an exacting internal review process by wine experts. There are a number of people involved in the selection of wine served on our flights including the President of the airline - a serious wine aficionado - and an expert buying team who all work cohesively to pre-select wines that can also go the distance and altitude to match the cuisine served on a particular route. JL: Travel has trended towards “experiences” how is Emirates delivered on that trend? E: Emirates has been a leader in innovation. We redefined the First Class experience, led the design of the first private suites in commercial aviation, and was first to introduce it into service back in 2003. We changed the entire paradigm of flying First Class on a commercial aircraft when we installed the world’s first private First Class suites, which feature a fully enclosed seating area with privacy doors for maximum exclusivity. Now suites and showers are becoming “the standard”. It’s never a standstill – our product is being constantly fine-tuned, upgraded and continually evolves. A few weeks ago, Emirates unveiled game-changing, fully enclosed private suites in its Boeing 777 First Class. With floor to ceiling sliding doors and sleek design features inspired by the Mercedes-Benz S-Class, Emirates’ new suites takes luxury and privacy to the next level. Offering up to 40 square feet of personal space each, these spacious, fully-enclosed private suites are laid out in a 1-1-1 configuration. But it is not only the “hardware” onboard, we also invest in our food and beverage offering with the finest cuisine in the sky, handpicked international cabin crew and so much more. Emirates leads with its aircraft and product and we are unashamed to spend what we do on making sure we have the best. Emirates recently enhanced comfort in the air with a host of exclusive, new products introduced to its First and Business Class cabins. Customers can now travel in luxury with new additions including First Class lounge wear, luxury blankets, skincare from VOYA and a new range of amenity kits from Bulgari. Emirates’ ongoing investment in product reinforces its emphasis on comfort, enhancing the travel experience. The airline has partnered with experts in their respective fields and no attention to detail has been spared in the luxury product overhaul. We also recently announced major enhancements to our already popular A380 Onboard Lounge. Our latest revamp, which made its debut in July on our A380 aircraft, include our trademark horseshoe-shaped bar and more seating space with a new arrangement along the windows and on both sides of the bar. The new look and feel is inspired by private yacht cabins, and each seating area will have a table and window view, comfortably accommodating up to 26 passengers at a time. The A380 Onboard Lounge is an iconic feature of this aircraft’s offering, and we think that with this revamp, customers will enjoy our latest enhancements. JL: What are the advantages of Emirates being based in Dubai and how has that reflected on the brand? E: From the very start, Emirates and Dubai have grown together. The geo-centricity of Dubai which is at the crossroads of Europe, Africa, and Asia, has been at the foundation of Emirates’ success in building up a global hub for travellers and cargo. From Dubai, we are able to serve about one-third of the world’s population within a four-hour flying radius, two-thirds of the world’s population within an eight-hour flying radius, and almost 90% of the world’s population with non-stop flights using the latest ultra-long range aircraft. Geography is an important pillar of Dubai’s growth story – but it can only go so far without the other essential pieces. Dubai’s leadership had a clear vision for the city, and they put in place the infrastructure, systems, and investments needed to build a destination on a global scale – from world-class airports, seaports, road and metro transport, to financial institutions, tourism infrastructure, housing, education, healthcare and other public systems. JL: What are some of the biggest travel trends of the future and how does Emirates plan to fit into those trends? E: Digitisation is becoming the cornerstone of every industry, putting information and power into the hands of consumers. Consumers want to see services and conveniences that they get in other industries. They expect everything to be joined up- when they are speaking to our call center agents, or at the airport, in our lounges, or on our planes. A better consumer experience based on customer insights is just the beginning. Think disruptive technologies like Robotics, the potential use of block chain technology for identity management, amongst other breakthrough technologies. Think big data, and intelligent algorithms that can give us real-time information on our passengers and every aspect of our operations. The rules are changing. And we are already adapting our business model, in every aspect of what we do as an airline to hopefully break away from the archaic legacy systems of the industry to optimise our business potential. Fundamentally, we will continue our undiluted focus on our core strategy, concentrating on our organic growth just as we’ve always done, connecting cities from all corners of the globe that make sense for our customers while offering them an outstanding value proposition at every Emirates touchpoint as they discover the world. · 1992: Emirates becomes the first airline to install video systems in all seats in all classes throughout its fleet. ·1993: Emirates becomes the first airline to introduce telecommunications on an Airbus – in all three classes. ·1994: Emirates is the first airline to equip an Airbus fleet with an on-flight fax facility. ·2008: Emirates becomes the first international carrier to introduce an in-flight mobile phone service. ·2013: Concourse A opens at Dubai International – the world’s first dedicated A380 facility and home of the Emirates A380.